Abigail Lapell is a Canadian folk-noir singer-songwriter based in Toronto. A fluid lyricist and multi-instrumentalist, Lapell draws freely from folk-roots, indie and punk-rock traditions. Her story-songs are unapologetic and unguarded, carried by the sound of her wintry voice, piano, harmonica and finger style guitar. Likened to such greats as Will Oldham and Gillian Welch, Lapell’s performance is passionate and sentimental without being maudlin. She will release her sophomore album, Hide Nor Hair, in early 2017.Lapell spent her formative years in the vibrant arts scene of Montreal. There she began writing, performing and collaborating with a number of bands and theatre projects. It was perhaps those long, insulated winters that led Lapell to develop her raw and understated sound. In 2011, after relocating to Toronto, Lapell released her first solo album, Great Survivor. Recorded by Heather Kirby (Ohbijou), the collection of star-crossed love songs features collaborators Jessica Moore (banjo), Lisa Bozikovic (piano, vocals), James van Bolhuis (drums), Aaron Lumley (bass) and Julia Collins (violin). Great Survivor earned widespread critical praise, reaching #3 on Canada’s national !earshot Folk/Blues/Roots radio charts.Along the way, Lapell has shared stages with the likes of tUne-yArdS, First Aid Kit, Rae Spoon, Jim Guthrie, The Lowest of the Low and Greg MacPherson. 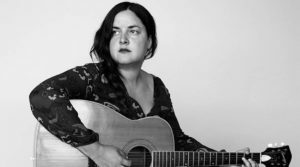 She has toured throughout North America, Europe and the U.K., with performances at festivals like North By Northeast, Pop Montreal, Sappy Fest, In the Dead of Winter and Winterfolk. Incredibly, Lapell has completed two tours entirely by bicycle and two tours by canoe, as well as cross-Canada tours by train and bus. She is the long-time host of a monthly residency at Toronto’s TRANZAC Tranzac Club that showcases some of the city’s best-loved singer-songwriters.Over the last two years, with the support of FACTOR and the Toronto Arts Council, as well as a residency at Michigan’s ISLAND Institute, Lapell has been writing and developing material for her new record, Hide nor Hair. The ten-song album, produced and engineered by Chris Stringer (Timber Timbre, Ohbijou) at Toronto’s Union Sound, will be released in January 2017.